Our training format is based on the silent command system that the HUNTSMITH team has been using for over 40 years, and is still being fine-tuned by the HUNTSMITH team today. We train all pointing and flushing breeds. We take a dog’s prey drive to its peak so we can form the dog into a confident, obedient bird finder. All dogs taken into Jacob Mark Kennels will undergo a 10-15 minute evaluation with the owners and our lead trainer, Jake Edwards. This is a free evaluation in which we can talk with you about your dog and how we feel about your dog’s future training. Here at Jacob Mark Kennels we train in building blocks in which all of our training builds on top of one another. That is why we believe so firmly in our strong foundation. We will be establishing two points of contact on your dog, one on the neck and one on the flank, that we will use throughout the entire training process. We are a professional training facility and can fine tune any specific training for your dog. All training options include food and birds. There are no hidden costs. Please contact us with any training questions. Puppy Development- Must be 5 months or older. This will introduce your dog to birds and the gun. This is a class we believe in very much for dogs of any age that have not had a lot of bird exposure, this class helps to ensure that your dog will be ready for the Basic Formal Training. 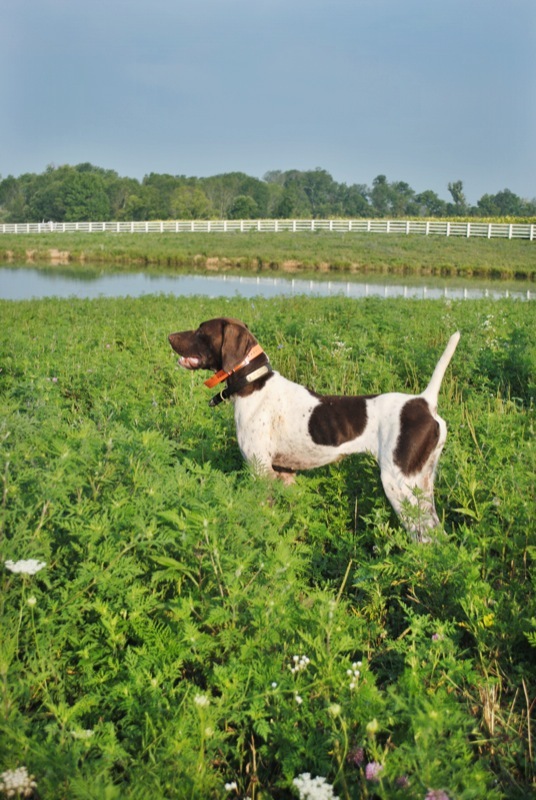 Bird drive is what makes bird dogs, Your dogs will be getting into birds daily. All dogs that pass puppy development are guaranteed a spot in our Basic Formal Training program. 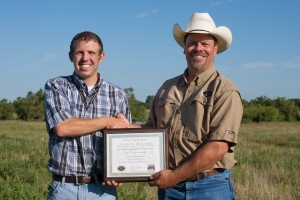 Basic Formal Training- This is the training program that will prepare your dog for the upcoming hunting season. In the first month (foundation level), we will be getting your dog into multiple birds daily, and we will using check chords to have your dog stand and watch for a pointer or sit and watch for a flusher. In the second month (intermediate level), we will begin to transition dogs off of the check chord and into remote cues. The third month (advanced level) the dogs are just on the verge of learned behavior. At this point all dogs are steady to wing. And if you choose, they can be steady to shot as well. 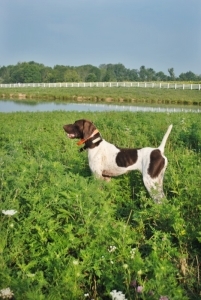 Your dog will learn the basic bird hunting skills every bird dog should know, be able to heal off lead and be a joy to be around. We can customize our training format to meet any specific needs you desire for your dog. Tune Ups & Advanced- Get your dog back into top performance for the upcoming season. Must have been through Basic Formal Training with us before. 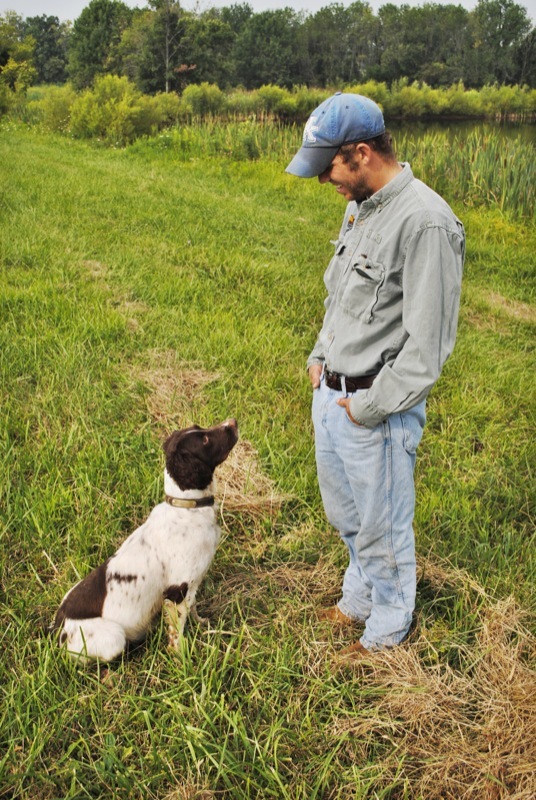 Wild Bird Training- Jacob Mark Kennels believes that birds are what makes a bird dog. There is no better training than being on all wild birds for one month. This is what really polishes off a finished dog and turns them into a seasoned dog. The growth and maturity level that appears in this one month is amazing. We offer a couple different trips every year please contact us for information and availability. Train Retrieve- Contact us for more information information. General Obedience- We will have your dog healing beside you calmly off lead, sitting and/or laying down, not jumping on people, and coming to you when you call. You will have all the tools you need transfer everything your dog knows into the home. After a month with us, you will have an obedient, mannerly dog that is enjoyable to be around. Home Obedience- This class includes everything that the General Obedience class includes Along with much more. Your dogs will be living daily in the house with us, learning to stay off the furniture, table, and countertops, not to run out the door until you allow them to, to lay in their place/bed, and not to take food from you unless asked. Private instruction- We offer private instruction for you and your dog here at our facilities, or we can come to your home to work with you on obedience issues. There is limited space for this. Please contact us to make a reservation.